Thanks to funding from the Ann Arbor Public Schools Educational Foundation and the Ann Arbor PTO Thrift Shop, middle schoolers will be offered later busing home from after-school activities. Both the foundation and the thrift shop will award AAPS funds of up to $43,000 for a total of $86,000 for the 2012-2013 academic year. 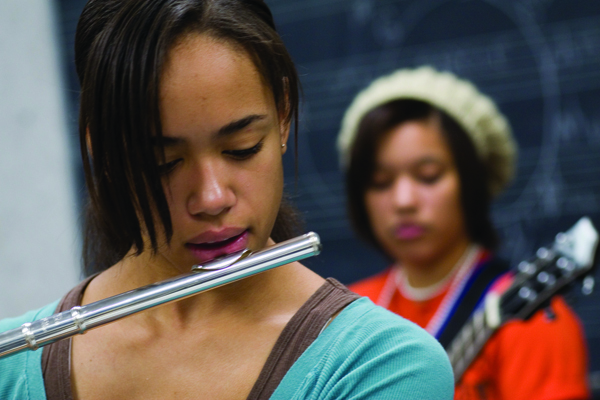 After-school activities for middle school students include visual and performing arts, instrumental lessons, club meetings, leadership development, athletic events and academic support. Late bus service will be provided to six schools: Ann Arbor Open, Clague, Forsythe, Scarlett, Slauson, and Tappan. An estimated 1,500 middle school students participate in after-school programs each year. Partial funding from AAPSEF comes through a gift from the family of the late Dr. James A. Norton, Jr., and reflects his commitment to equal educational opportunity and social justice. The Ann Arbor Public Schools Educational Foundation is an independent, community-based, non-profit organization committed to helping all Ann Arbor Public Schools students achieve their highest potential by providing community support for innovative and excellent educational opportunities. The Ann Arbor PTO Thrift Shop is a non-profit resale shop with all proceeds from shop activities benefitting Ann Arbor Public Schools and its PTOs, Parent Councils, teams, clubs and other groups in support of AAPS student enrichment.